Happy New Years Eve! If you're celebrating tonight by hosting some friends or attending a party, you've probably already got your menu planned - I know I do! But in case you're still looking for a small appetizer to add to the table, I've got the perfect idea for you! 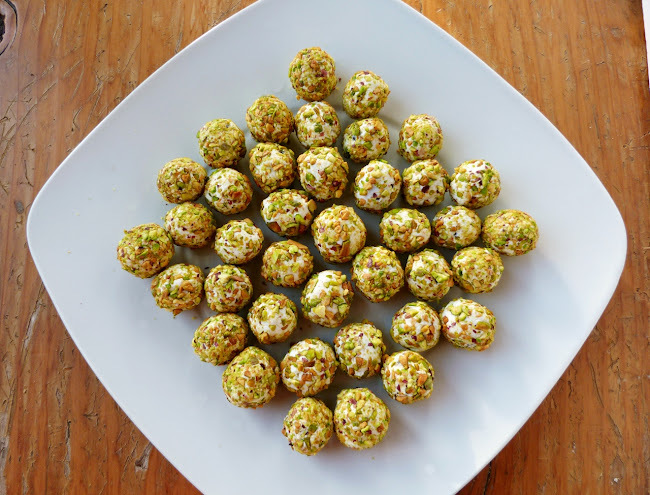 I first saw the idea of wrapping grapes in goat cheese and nuts on a blog and I thought it sounded like the perfect bite-sized party treat. It basically combines three elements of a typical cheese platter - grapes, cheese, and nuts, into one sweet and tasty bite! While you only need three ingredients to make these, they are a bit time-consuming (although it will go faster if you can recruit a helper or two)! 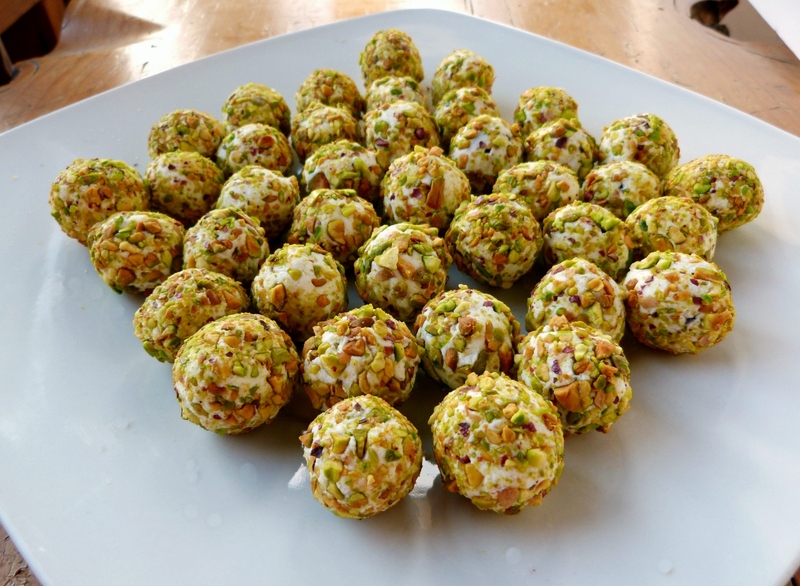 The results are worth the work though - I loved the combination of the crunchy pistachios with creamy goat cheese and a juicy grape inside. I served these to my family on Christmas Eve and they were definitely a hit, everyone loved them! And for another easy hors d'oeuvre idea that also uses nuts and goat cheese, try these goat cheese and almond stuffed dates that I made last year during the holidays! Wash and dry the grapes. Take a small piece of goat cheese and squish it flat with your fingers. Wrap it around one end of a grape and press firmly so that the cheese sticks in a thin layer. Continue adding cheese until the whole grape is covered (Note: You want the cheese as thin as possible, but without holes or gaps). Continue wrapping grapes in goat cheese until the cheese is used up - you should have enough for about 40 small grapes. Use a food processor to crush the pistachios into fine crumbs. Place the crumbs in a shallow bowl. Roll each goat cheese covered grape in the pistachios and press them in with your fingers so that they stick. Keep finished grapes refrigerated until serving time. Merry Christmas Eve! I hope those of you who are celebrating Christmas are ready for the big day tomorrow and are enjoying spending time with loved ones over the next couple of days. I've been home for a few days already and I've been loving the homecooked meals, watching Christmas movies, and making treats to have around! Last year around this time, I did a round-up of no-bake, bite-sized vegan treats that I had tried from other blogs, and I thought I would continue that tradition this year. 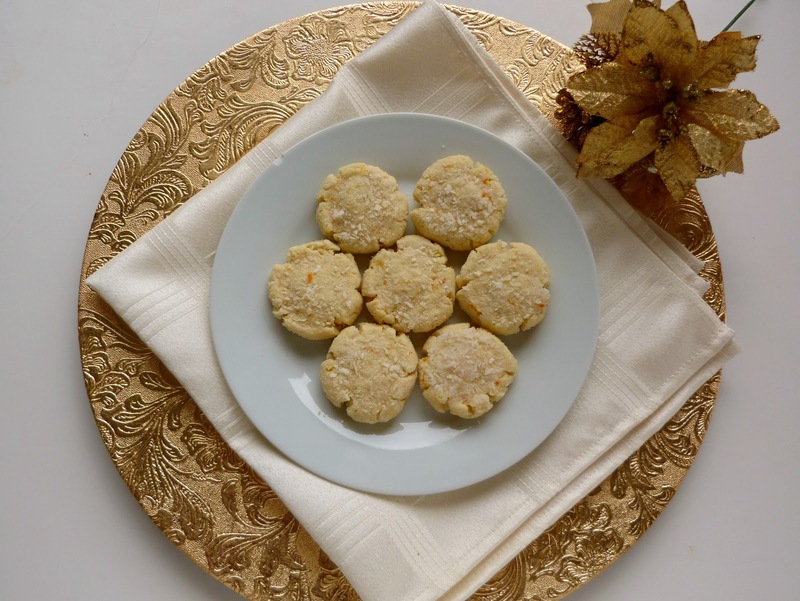 Not all of the treats are no-bake and vegan this time, but they're still small bites that won't weigh you down too much with richness or sweetness! Stir all ingredients together until smooth. Use about 1/2 tsp of filling per cookie. These were one of the healthier treats that I made and gave away as a homemade gift for a friend (one who doesn't like most sweets because of all the butter and sugar that usually go into them). The recipe is from the Kitchn, and the only change I made was to use a bit less maple syrup because I didn't want them to be too sweet. 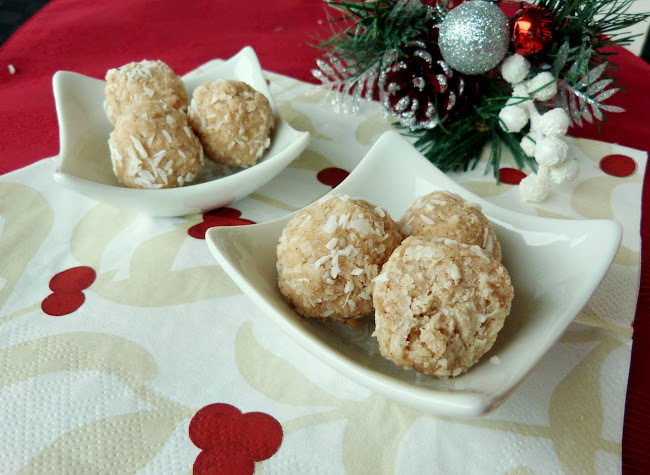 They had a very chewy texture from all the coconut without being too dry, and I liked that I could eat them as a snack or as a non-sweet dessert! 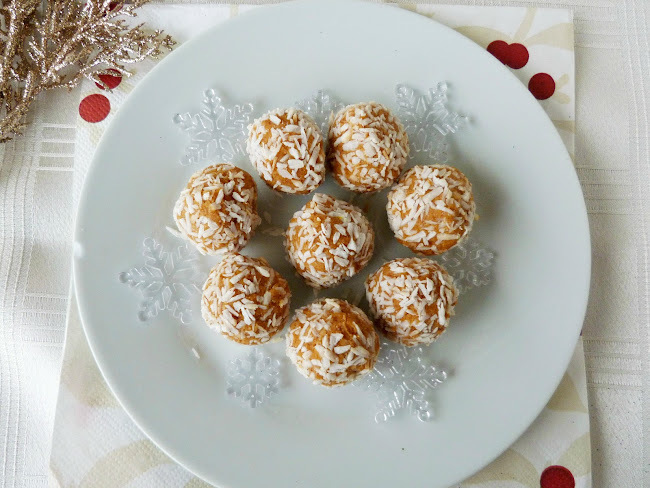 Another treat with coconut that I made recently was these sweet potato pie truffles from Cara's Cravings, as seen on Clean Eating's website. 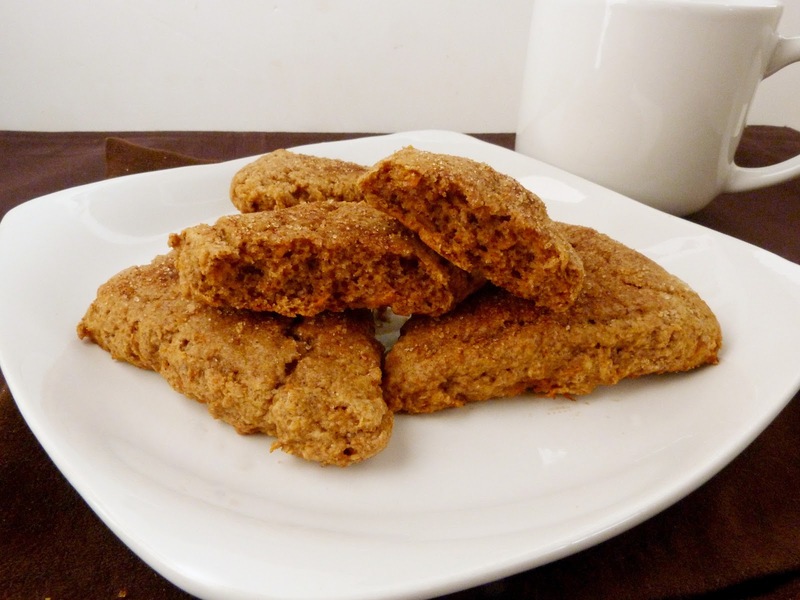 I made them mainly because I love anything with sweet potato, but also as an excuse to use some of my coconut flour. I have to say, these got mixed reviews. 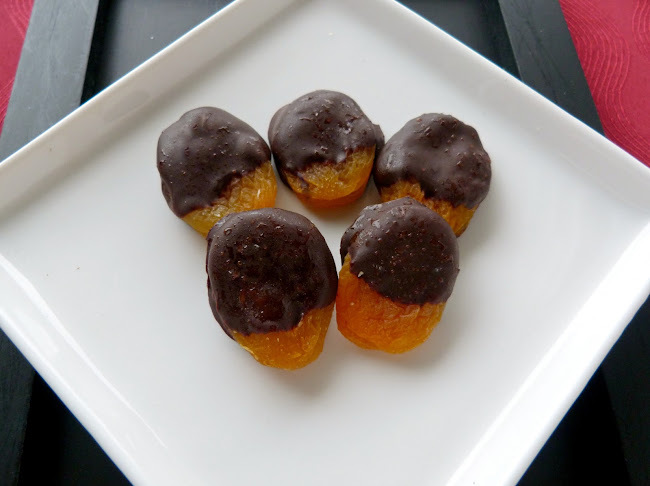 I personally loved them - I thought they tasted just like sweet potato pie in bite-sized form, and I liked that the natural sweetness of the sweet potato came through without needing a lot of additional sweetener. When I tried sharing them with my family, however, they didn't go over very well - they all thought they weren't sweet enough to be a dessert and tasted more like a dinner side dish! So I would still recommend the recipe, but with the caution that to enjoy them as much as I did, you have to love sweet potatoes, and be okay with less-sweet desserts! 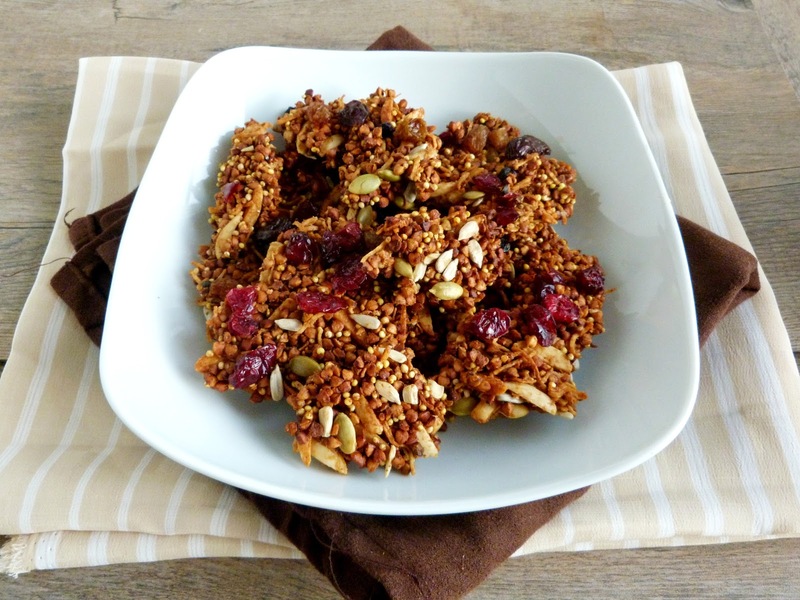 I love trying out different kinds of bark and brittle around the holidays. I can never seem to get brittle quite right though, and this time was no different! 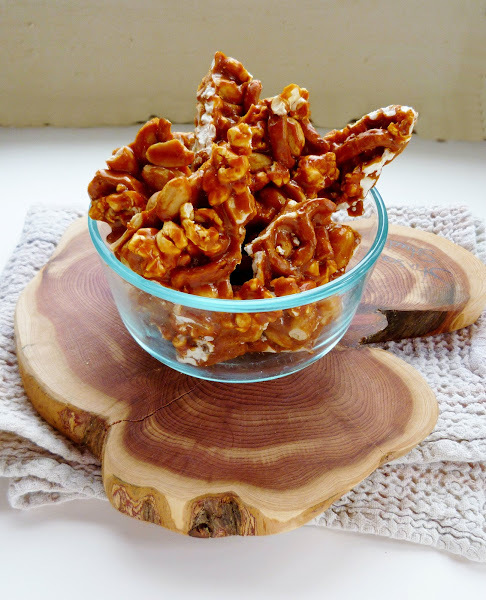 The original recipe for this popcorn peanut brittle came from Ezra Pound Cake. I increased the amount of popcorn a bit and added 1 cup of broken pretzel pieces, since I figured they would go well with popcorn and peanuts. Despite using a candy thermometer, I still managed to overcook my sugar mixture so the brittle ended up much darker than it should have been. It did taste a tad on the burnt side, but we all still enjoyed it! It was super crunchy and sticks in your teeth, but was actually quite addictive! I would definitely try this again but keep a better eye on the syrup next time! After I made the peanut brittle, I wanted to make a chocolate bark to have one more dessert option around the house. 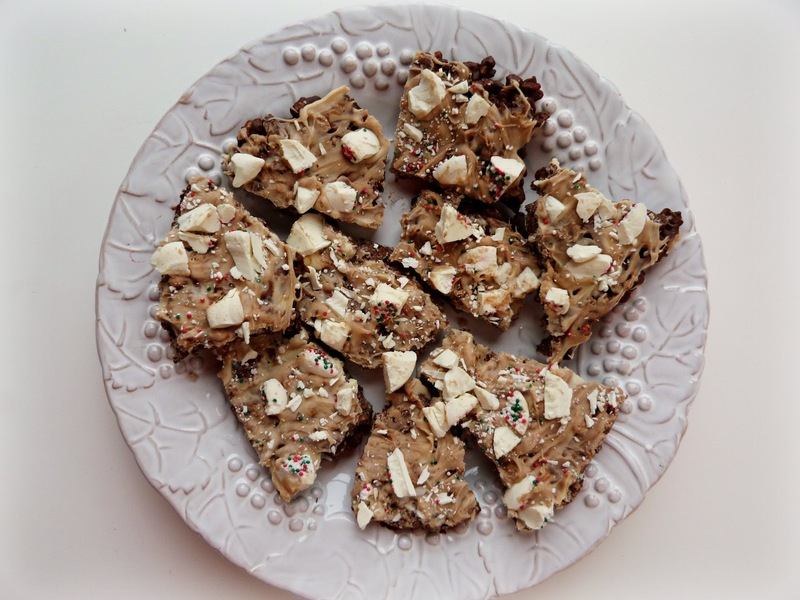 I decided to go back to a recipe that I made last year and loved, this peppermint rice crispy chocolate bark. I made a couple of changes this time, like adding a layer of melted white chocolate on top of the rice crispy layer, and instead of using Hershey's candy cane kisses (which I couldn't find, probably because it was the weekend before Christmas! ), I chopped up those white christmas mint nonpareils that you can find in bulk bins. 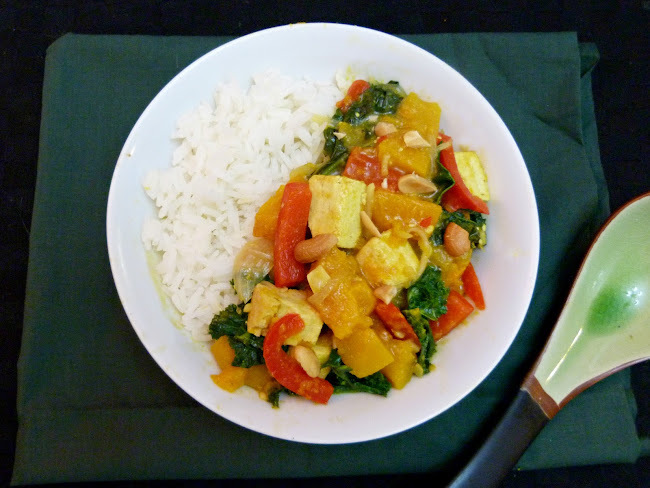 This had tons of minty flavour and was nice and light and crispy - just what I was going for! 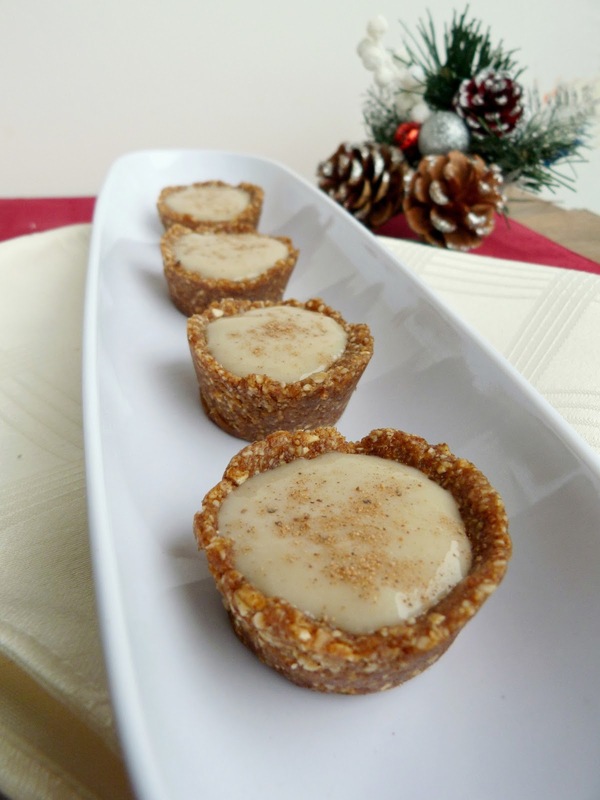 And here are a few other vegan holiday treat ideas that I didn't have time to make this year, but they're on my list for next year! Now I'm off to prepare some food for our Christmas Eve hors d'oeuvre party with family tonight! I'm looking forward to stuffing myself with lots of appetizers and desserts, and for my part I'll be contributing these bourbon peanuts and goat cheese & pistachio covered grapes, plus some gingerbread cream cheese truffles and the leftover peppermint bark! It seems like time is flying by these last couple of weeks - there's less than a week left until Christmas, and I feel like I haven't done all the Christmasy things that I've wanted to yet, like watching all my favourite movies, spending evenings shopping in the crazy busy malls, driving around to look at Christmas lights, and going to see the lights display in the park. One thing I have managed to is some holiday baking! Our annual cookie swap at school took place a couple of weeks ago, and in the last few days I've made 4 more kinds of little treats. 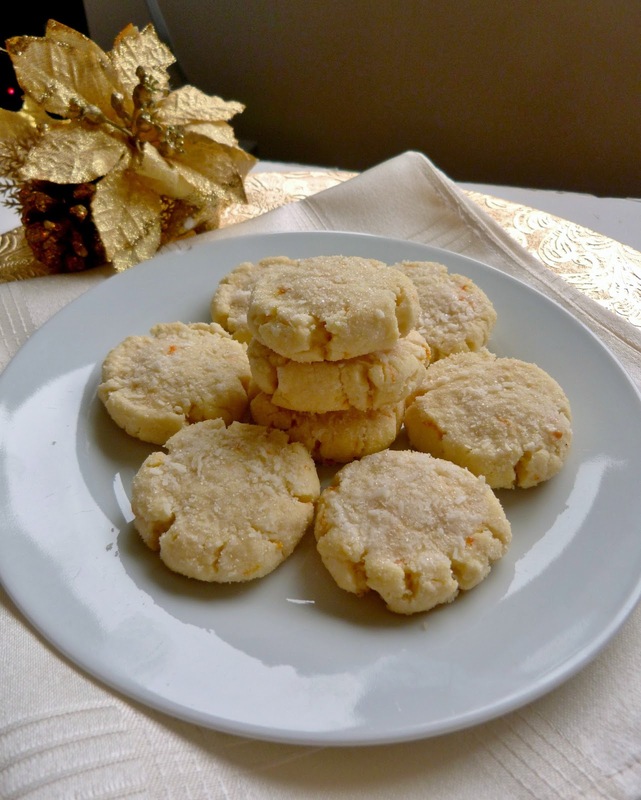 The latest treat to come out of my kitchen was these tangerine coconut cookies. I had bookmarked the original recipe for mandarin coconut cookies from Whole Foods, and I was inspired to try them after a fellow student brought some clementine cookies to our cookie swap that I really liked. These cookies are kind of like a cross between a sugar cookie and shortbread, and they're made vegan by using coconut oil instead of butter. Because the baking time is a bit longer, they come out with a crisp, crumbly texture (perfect as a tea biscuit!) and if you place them in the freezer before baking, they stay nice and thick without spreading. 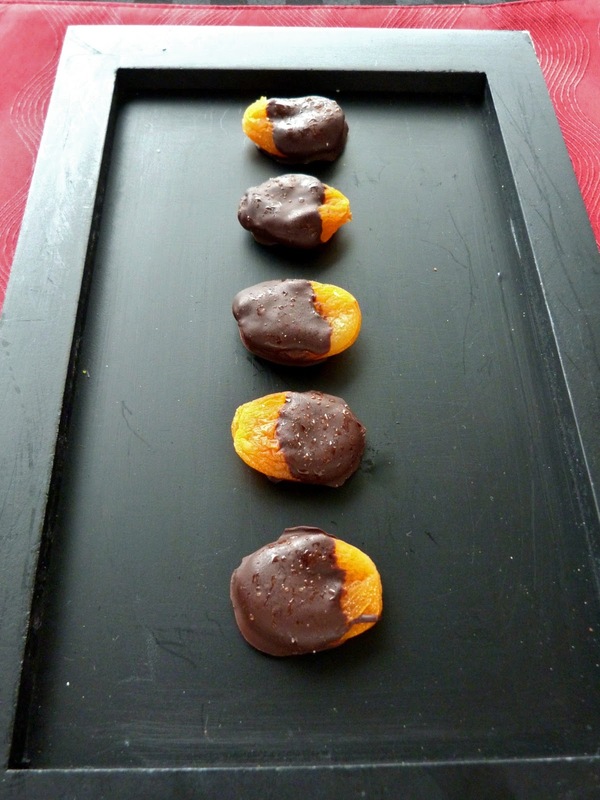 These are studded with lots of coconut and full of tangerine flavour. I love anything with coconut, but I'm actually a bit picky with orange-flavoured treats as I find the zest can be a bit overpowering. 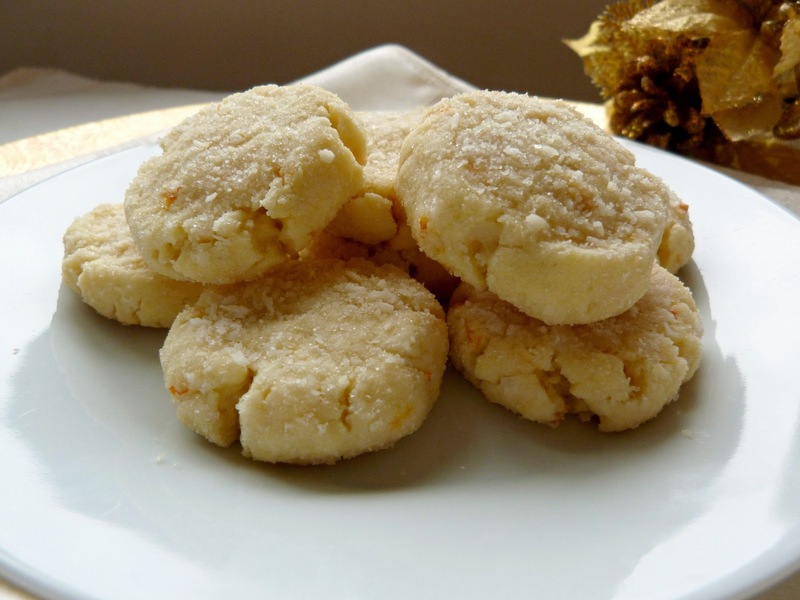 That wasn't the case with these cookies though - the tangerine zest and juice added lots of flavour, but it was balanced out really well by the coconut at the same time. I also loved the pretty effect of pressing the cookies with a small glass to create the ridges around the edges. Plus the coconut-sugar mixture that I rolled the cookies in makes them look like they were dusted with snow! If you're still looking for more cookie ideas, I plan on doing a round-up post of some of the other treats I've made lately, so stay tuned! Preheat oven to 325°F and prepare a baking sheet by lining with parchment paper. Wash the tangerine and use a zester to remove the zest. Set aside the zest and cut the tangerine in half with a knife. Use a lemon juicer and juice one half of the tangerine – you should get at least 2 tbsp of juice. Save the other half of the tangerine for another use. Cream the coconut oil and powdered sugar together in a large bowl, until fluffy. Add the vanilla and coconut extracts, 2 tbsp of the tangerine juice, and ½ tbsp of zest. Beat until mixed. Add the flour, 1/4 cup of coconut, cornstarch, baking powder, and salt and beat again until all the dry ingredients are incorporated. Use your hands to form the mixture into a smooth dough. Combine the remaining 2 tbsp of coconut and the cane sugar. Use a blender or food processor to grind until coarse. Form the dough into small balls. 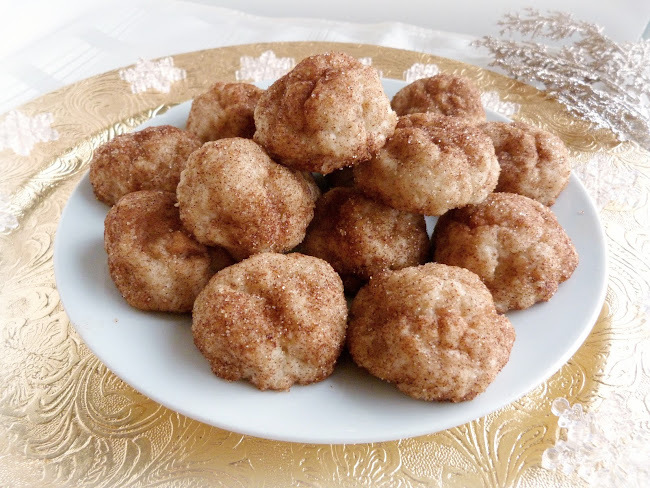 Roll each ball in the coconut-sugar mixture and place on the baking sheet. Take a small glass (I used a shot glass) and dip the bottom in water, then in the coconut-sugar mixture. Press the glass into each cookie ball to flatten (You will need to wipe off the bottom of the glass and re-dip in the water a few times). Bake cookies in the preheated oven for 15 minutes, until firm and lightly golden on the bottom. Transfer to a wire rack to cool. Makes about 19 small cookies. Note: If you prefer a softer, chewier cookie, you can try baking them for less time, but I haven't tested this! 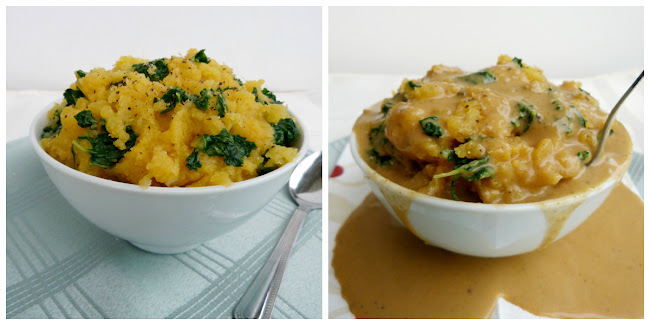 After posting a couple of holiday recipes that have been on the sweet side, I thought it would be good to share a savory dish that could fit into your upcoming holiday meal plans too! I love adding fresh cranberries to baked goods, like scones or my cranberry orange almond loaf, but I wanted to try out a dinner recipe highlighting cranberries in a different way. 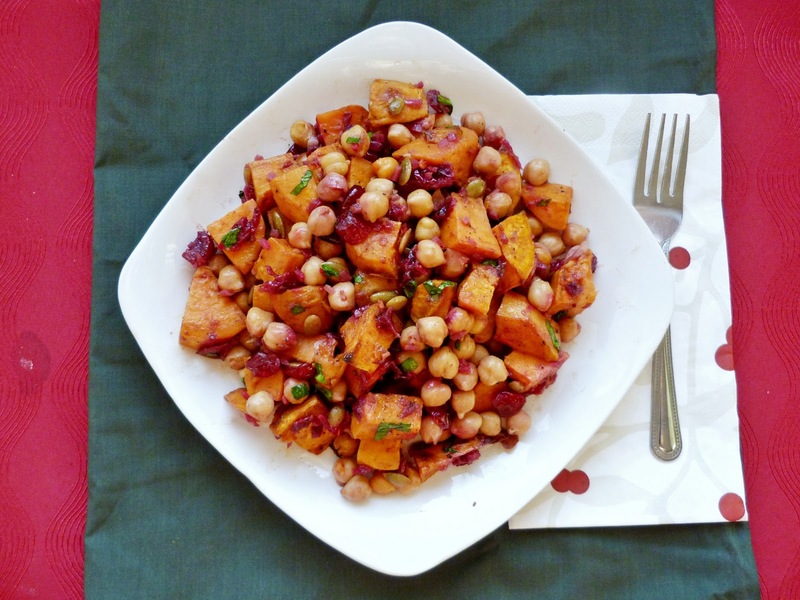 I saw this recipe for a roasted sweet potato salad with cranberry-chipotle dressing from Cooking Light and thought it would be the perfect base for my own version of a holiday salad. Along with the roasted sweet potatoes, which I spiced up a bit with chili powder, I added canned chickpeas to bulk up the dish a bit more. 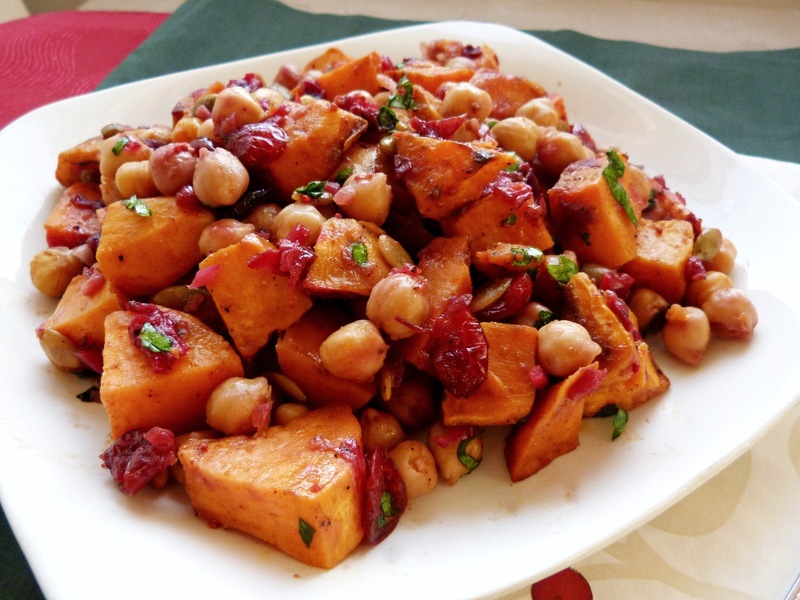 The sweet potato and chickpeas are then tossed in a warm, chunky dressing of fresh cranberries simmered with a bit of orange juice, balsamic vinegar, maple syrup and chili flakes for a touch of heat. 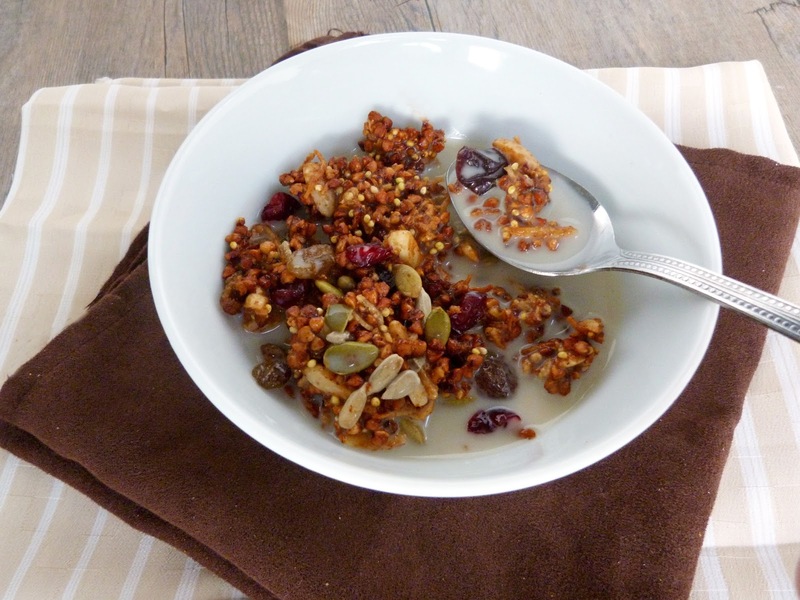 Finally, I added some dried cranberries to the mix for even more cranberry flavour, along with some pumpkin seeds and chopped fresh parsley. I loved everything about this salad - the potatoes were nice and tender, and I especially loved the cranberry dressing with its mix of sweet, tangy, and slightly spicy notes. I would definitely consider serving this as a Christmas side dish, since all of the flavours together really did remind me of the holidays. Plus the red cranberries paired with the green pepitas and parsley make for a very festive looking salad! 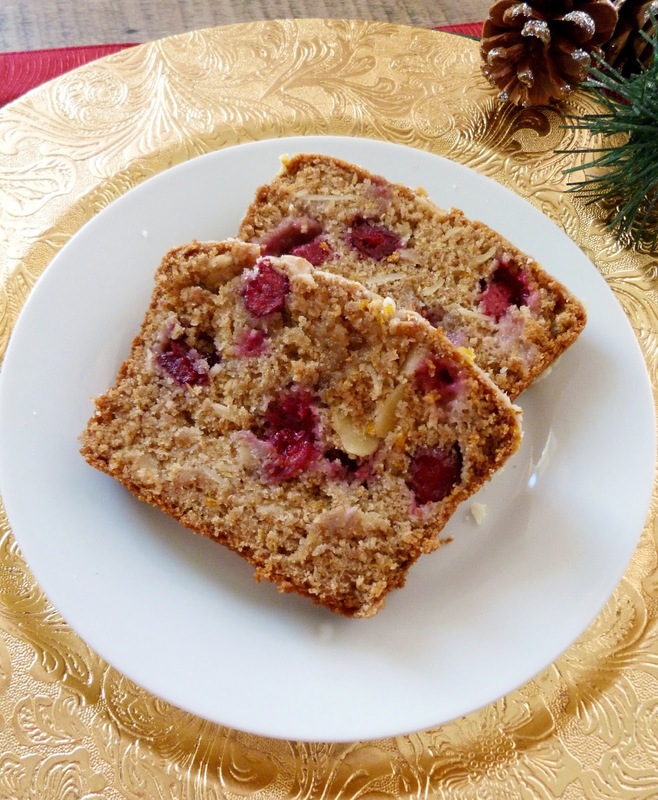 Of course, you don't have to wait until Christmas to make this - I enjoyed it for lunches and dinner last week when I was busy making treats for our annual school cookie swap, and I was glad to have a healthy yet still filling meal to look forward to once I got sick of eating cookies! Preheat oven to 450°F. 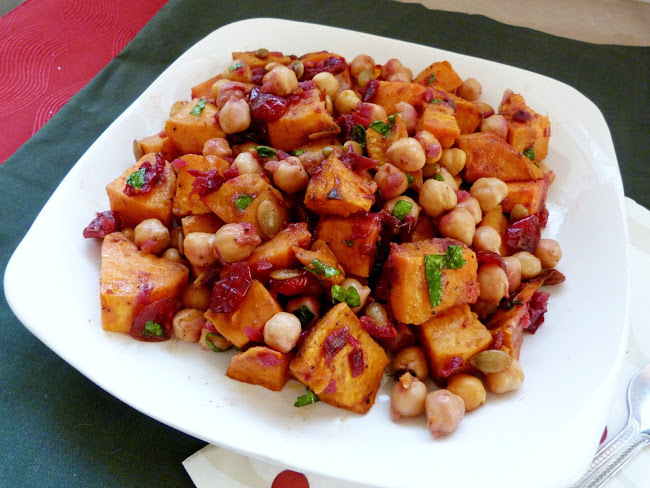 Toss diced sweet potatoes with 1 tbsp of olive oil, chili powder, and season with salt and pepper. 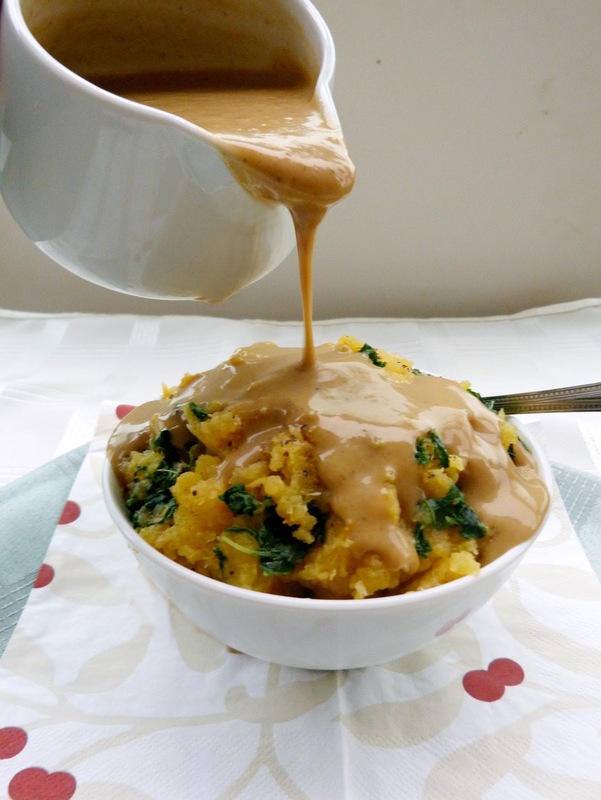 Place in a baking dish and roast in the preheated oven for 35-40 minutes, stirring once, until tender. To make the dressing, heat the remaining 1 tbsp olive oil over medium-low heat. Add the shallot and ginger and sauté for about 1 minute. Add the cranberries, orange juice, balsamic, maple syrup, and chili flakes. Bring to a boil, then cover, reduce heat to low, and simmer for about 10 minutes, stirring occasionally, until the cranberries have started to break down. Remove from heat and mash the cranberries to make a chunky sauce. Keep sauce warm over low heat until the potatoes are ready. When the potatoes are done, remove from oven and transfer to a bowl. Add the chickpeas, dried cranberries, pumpkin seeds, and parsley, and toss to combine. Add the sauce and toss until the potatoes and chickpeas are evenly coated. 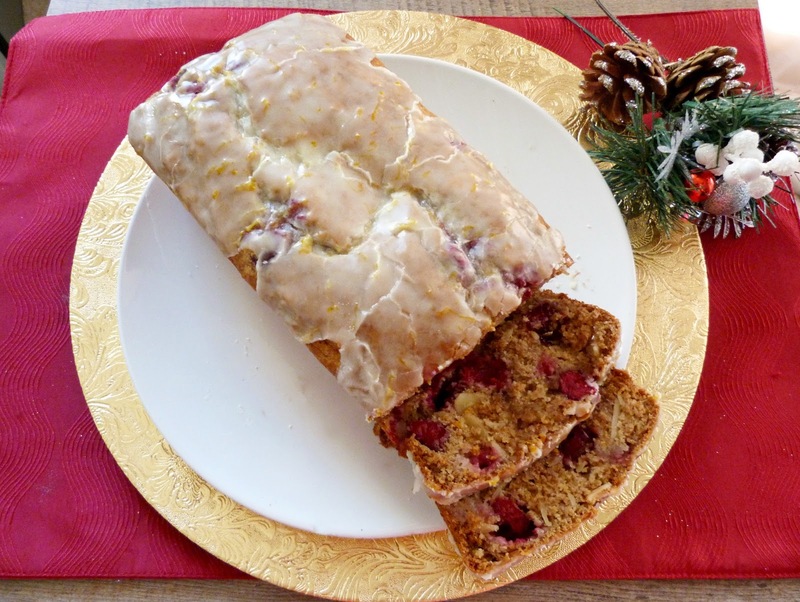 I hope you're all getting as excited for Christmas as I am (or the holiday season in general if you don't celebrate Christmas), because I've got another Christmas-themed recipe to share with you today! 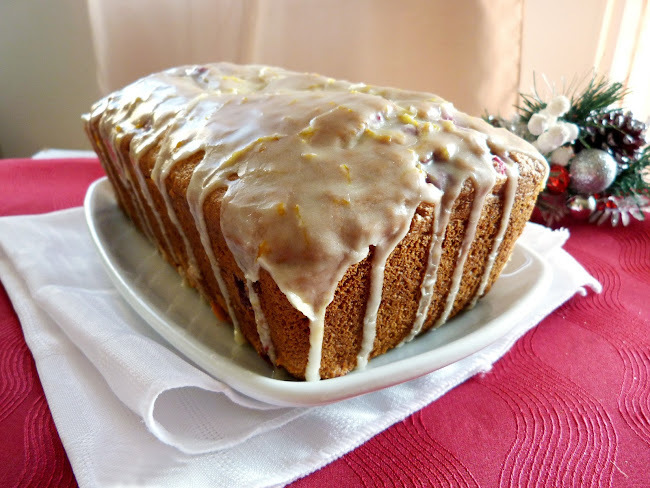 I've already shared a recipe featuring cranberries, and now I've got a recipe featuring two of my other favourite holiday flavours - gingerbread and eggnog! I bought two bottles of So Nice Noel Nog (an eggnog flavoured soy milk) recently, and one of the ways I wanted to use this tasty beverage was in a pudding. But instead of serving the pudding on its own, I thought it would be fun to serve it in miniature cookie cups. 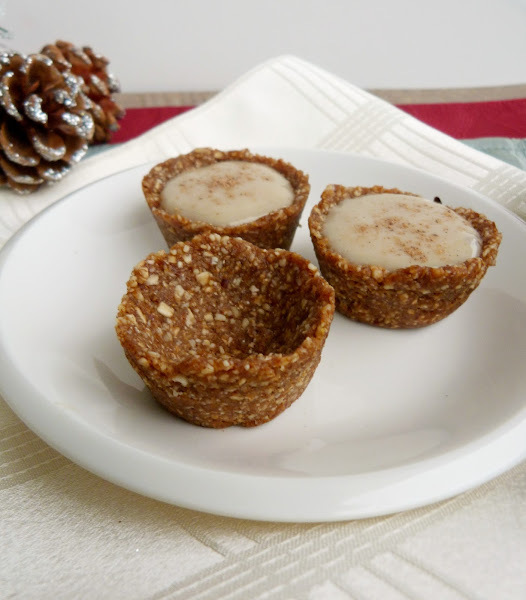 And to keep these on the healthier - and easier - side, I decided to make raw cookie cups that taste like gingerbread! There's no baking involved in these cookie cups - just mix together some ingredients in your food processor and press them into mini muffin pans. Stick the pan in the freezer and voila, you have raw ginger cookies that serve double duty as a cup for your eggnog pudding! These started out as an idea in my head that I wasn't sure would work, but luckily they turned out just how I wanted! The pudding was cool, creamy, and sweet, with a distinct eggnog flavour - even though it was made without "real" eggnog! I also added a touch of spiced rum to bring out the eggnog flavour even more - I only used a hint of rum because I didn't want it to be overpowering, but feel free to increase the amount for a more grown-up tasting dessert! The cookie cups were chewy and held their shape well. I loved the mix of salty and spicy notes in the crust, and I thought they made the perfect base to pair with the eggnog flavour. The only caution I would give is that the pudding was a bit on the thin side, so be careful if you bite into a filled cookie cup or you might end up with some pudding spilling out - and you won't want to waste any! 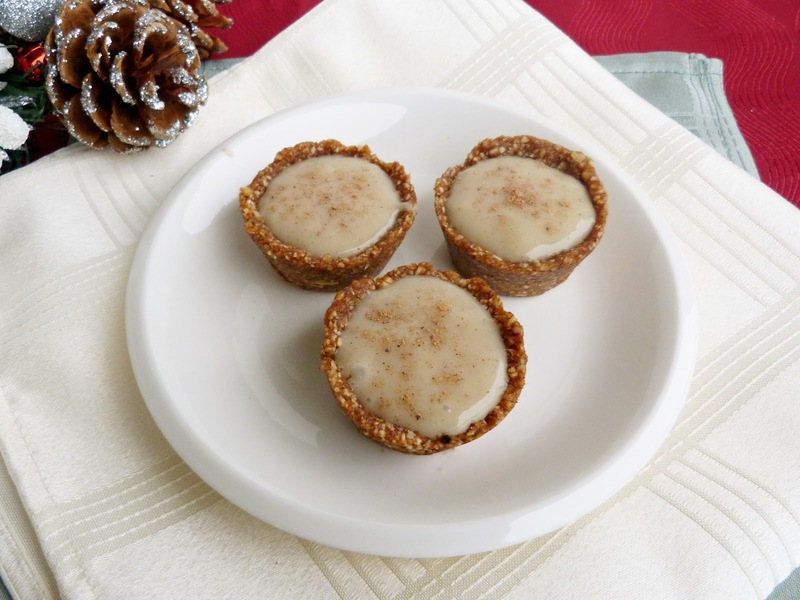 With this recipe, you really get three treats that you can eat any way you like - the pudding is great on its own, the cookie cups can be eaten plain, or you can put them both together and get the best of both combined into one dessert! 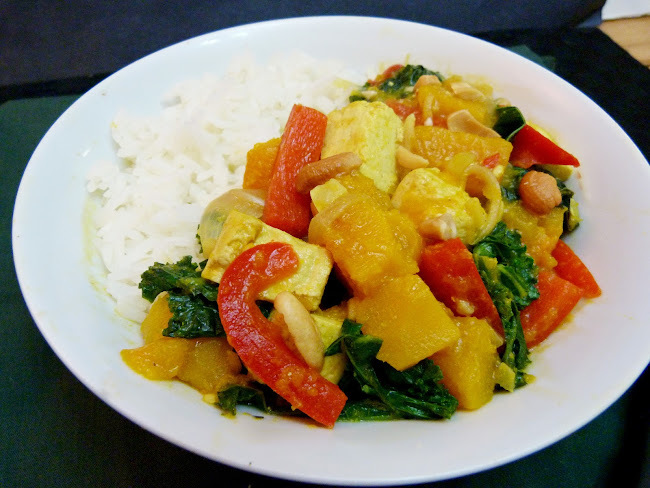 Place the sugar, cornstarch, salt and spices in a medium saucepan and heat over medium-low heat. Gradually add the soy nog, whisking constantly to remove any lumps. Continue to heat, stirring constantly, for 5-10 minutes, until the mixture thickens. Continue heating for 2-3 more minutes, stirring occasionally. Remove from heat and stir in the vanilla extract and 1 tsp rum. Taste and add more rum if desired (I only used 1 tsp). Transfer to a container and chill in the fridge for at least 2 hours. Note: You may want to double the pudding recipe if you want to have enough for all the cookie cups, plus more for eating on its own. Or, you can only make half the recipe for the cookie cups, which is what I did. 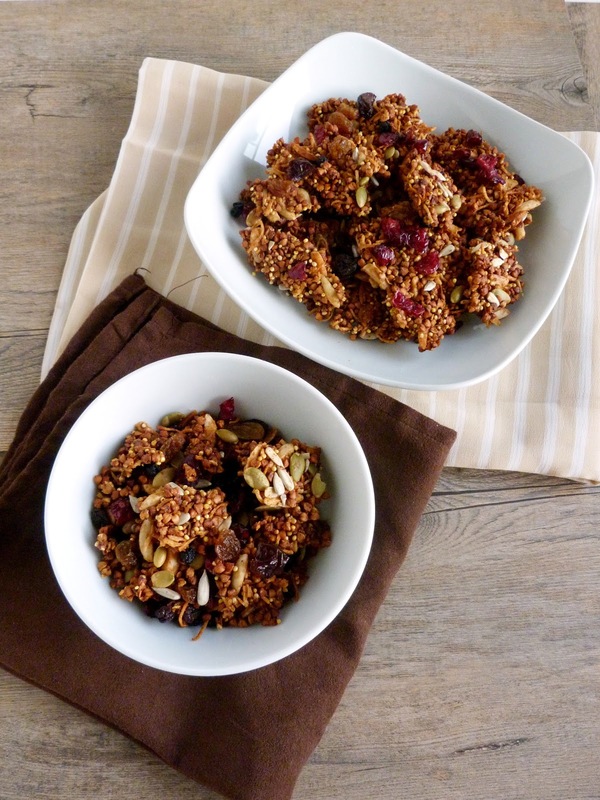 Place pecans, cashews, and oats in a food processor and process until the mixture is finely ground. Add the salt, spices, molasses, and maple syrup and process again until the mixture starts to stick together. Add the vanilla and milk and pulse until the dough comes together (you should be able to pinch it into a ball with your fingers). Remove mixture from food processor and divide into 14-15 mini-muffin pan cups. For each cup, press the dough down with your fingers so that it moulds in a thin layer around the bottom and up the sides of the muffin cup. Place the muffin tin in the freezer for at least 30 minutes, until the cookie cups are firm. Run a knife around the edges of each cookie cup to carefully remove them. Transfer to a container and return to the freezer to keep them firm. 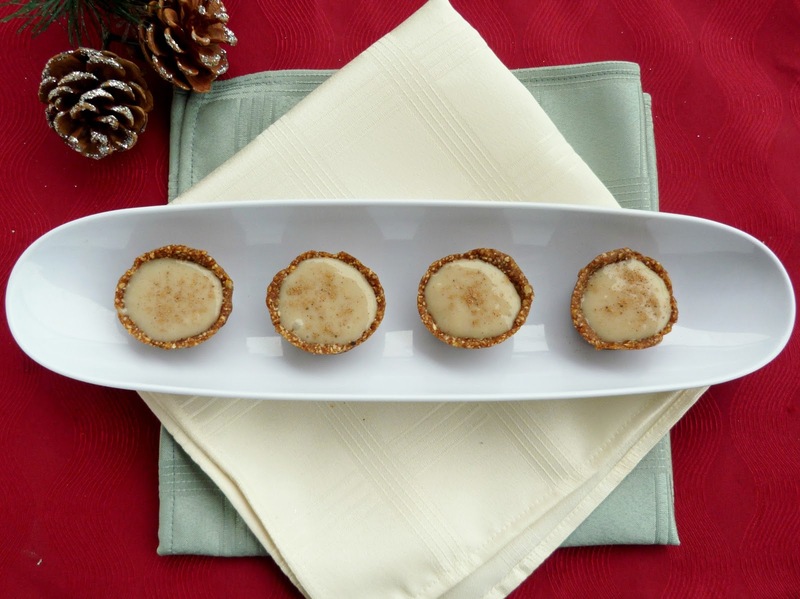 Keep the pudding and cookie cups separate until you are ready to serve. Once the pudding is firm, spoon it into each cookie cup (be careful not to fill them too much or they will overflow when you try to eat them!). Sprinkle a bit of ground nutmeg over each filled cookie cup. Note: You may end up with extra cookie cups, depending on how full you fill them with the pudding. Feel free to re-shape any empty cups into cookie dough balls instead! Also, you may want to eat these over a plate or napkin - once you bite in, some of the pudding might spill out! Or you can just eat them the way my sister's boyfriend did - by putting the entire thing in your mouth at once! This was submitted to Wellness Weekend at Diet, Dessert & Dogs and Bringing in the Holidays Potluck Party at Lifeologia. 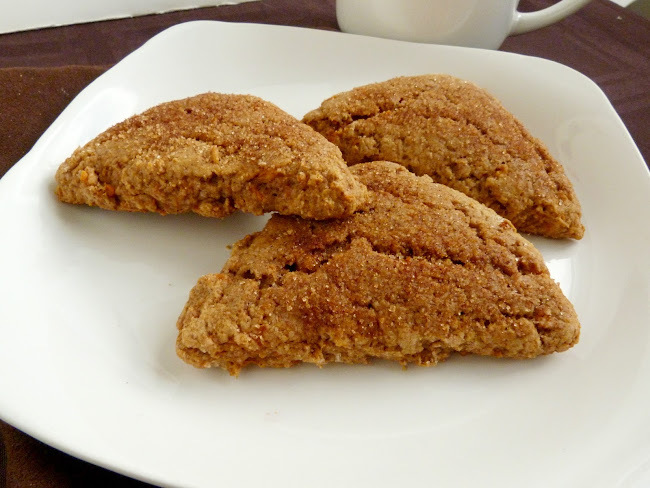 Starbucks' pumpkin scones are a tradition that I used to love to indulge in occasionally, but I actually haven't had one in a couple of years. I've become used to my own homemade baked goods, which tend to have much less sugar and calories than the storebought kinds, and are much more economical too! While I love pumpkin baked goods, one of my other favourite Fall vegetables to bake with is sweet potato. 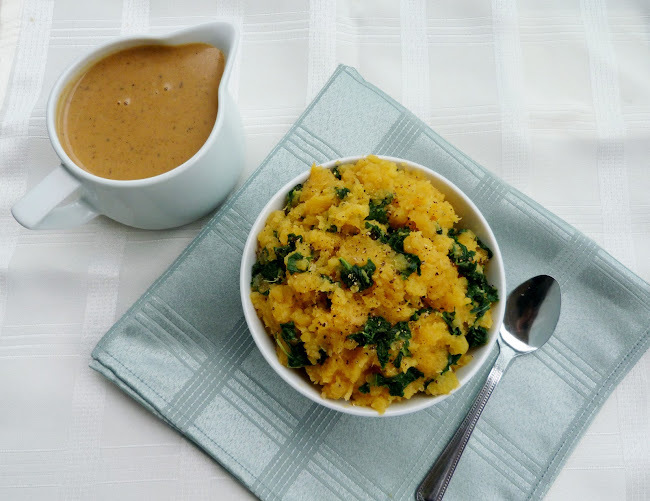 For a lot of baking recipes, you can easily swap pumpkin puree with pureed sweet potato for a slightly different flavour. I also find that sweet potato is naturally sweeter than canned pumpkin, so you can get away with adding a bit less sugar to your recipe! 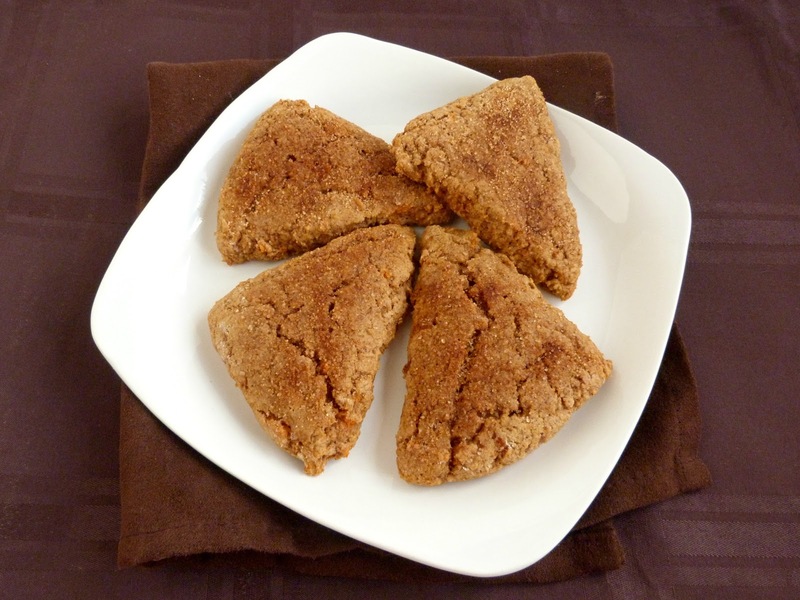 For these scones, I started with a recipe for copycat vegan Starbucks pumpkin scones, but made some changes to turn them into spiced sweet potato scones instead. These scones are not exactly like traditional scones - rather than having the crumbly, buttery texture of some scones, these are a bit flatter (which may have been my fault for rolling the dough too thin) and softer inside - kind of like a muffin top. Personally, I loved the softer texture and the flavour of these scones! The scones themselves weren't very sweet, so you could add a glaze on top like the Starbucks variety. 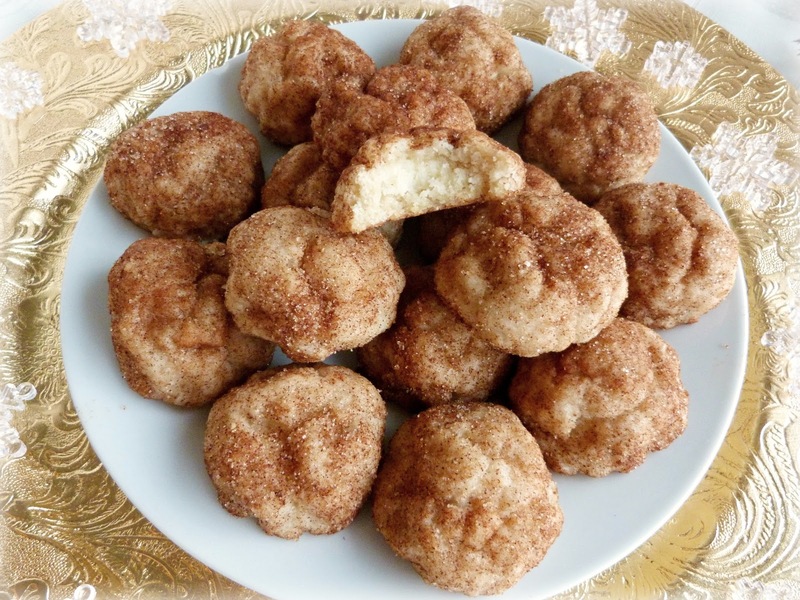 Instead of a glaze, I opted for a cinnamon-sugar topping, which added a nice bit of crunch and extra sweetness. These can easily be eaten just on their own - I even liked them cold! You could also spread a little Earth Balance on top for more buttery flavour, or a layer of peanut butter or jam if that's how you like to eat your scones! If I had a jar of pumpkin butter or apple butter on hand, I think that would be the perfect topping! Preheat oven to 375°F and prepare a baking sheet by lining with parchment paper. In a large bowl, whisk together the dry ingredients (flour through to cane sugar). In a separate bowl, mix the almond milk, sweet potato, molasses and vanilla. Stir or whisk until smooth. Cut the Earth Balance into the dry ingredients using a fork or pastry cutter, until the mixture resembles coarse crumbs. Pour the wet mixture into the dry mixture and stir until combined. Press or roll dough out onto a floured surface into a square shape, about ¾” thick. Cut the dough with a knife in half lengthwise, and again across the width, to form four equal squares. Cut each square in half diagonally to form 8 equal triangles. Transfer scones to prepared baking sheet and bake in the preheated oven for 12 minutes, until lightly browned on the bottom and firm on top. Let sit on the baking sheet for about 1 minute, then transfer to a wire rack. While scones are still warm, brush the tops with the melted butter. Mix the sugar and cinnamon together and sprinkle over the scones. A bowl of warm pasta with lots of veggies and sauce is one of my favourite comfort foods in the winter. I grew up eating my parents' homemade veggie and tomato pasta sauce and I still look forward to eating that meal whenever I'm at home! It may seem surprising that I've never actually made my own tomato sauce for pasta! I like to think the reason is that I want to keep my family's recipe special by not attempting to create my own version, but sometimes the truth is that I just use jarred pasta sauce. Another reason is that I'm always tempted to try new recipes and unique ideas for pasta using different combinations of noodles, veggies, and sauces other than tomato. 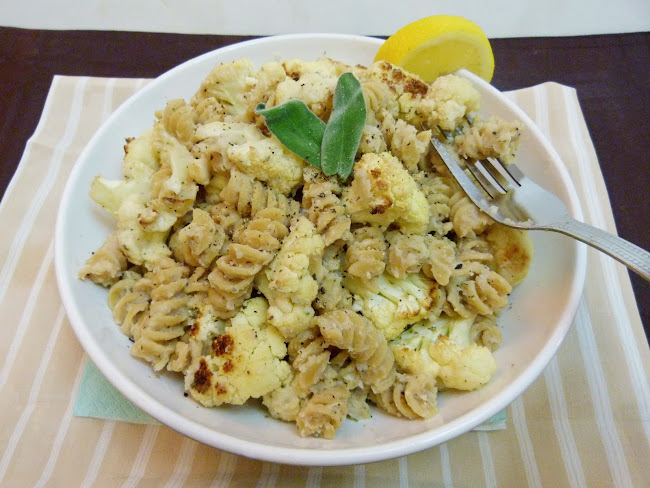 The latest pasta recipe that I've tried was inspired by a white bean and sage pasta recipe in the cookbook Vegan Planet. The original version was a simple linguine tossed in a sauce made from white beans and vegetable stock and infused with fresh sage. 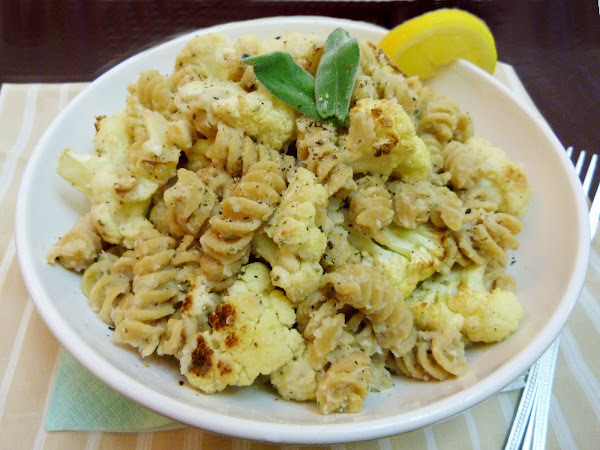 For my own version, I added some garlic for even more flavour, used a thicker noodle to catch all of the sauce, and added some roasted cauliflower so that the dish would have something other than just noodles and sauce. I thought this combination really worked well together! The sauce ended up being nice and thick and creamy, even though there was no dairy in it. 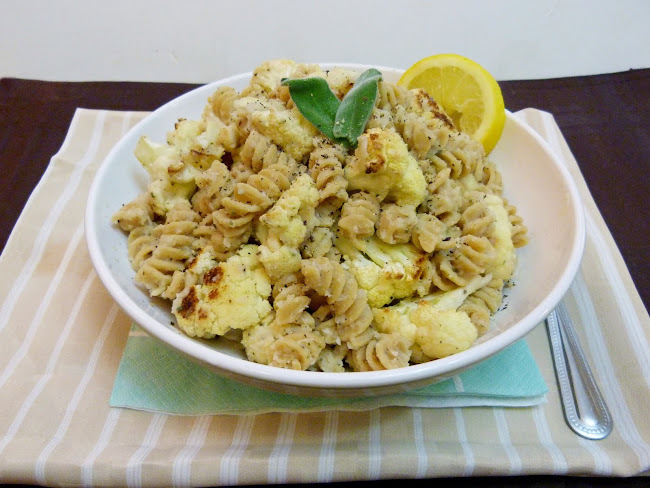 It had lots of flavour from the garlic, sage, vegetable stock and lemon juice, and the roasted cauliflower was the perfect addition! Overall, this was a healthy, yet still hearty and comforting pasta dish for winter. And the best part was that my leftovers lasted me all through the week, so I could look forward to coming home out of the cold weather and heating up a bowl for dinner! Preheat oven to 450°F. Cut cauliflower into bite sized pieces. Toss with olive oil, lemon juice, salt and pepper and spread in a single layer on a large baking sheet. Roast for 25-35 minutes, until tender and lightly browned. Meanwhile, prepare the sauce: Heat the olive oil in a large skillet. Add the onion and cook for about 5 minutes, stirring occasionally, until softened. Add the garlic and sage and cook for 1 more minute. Add the beans, vinegar, salt and pepper and cook until beans are heated through, 2-3 minutes. 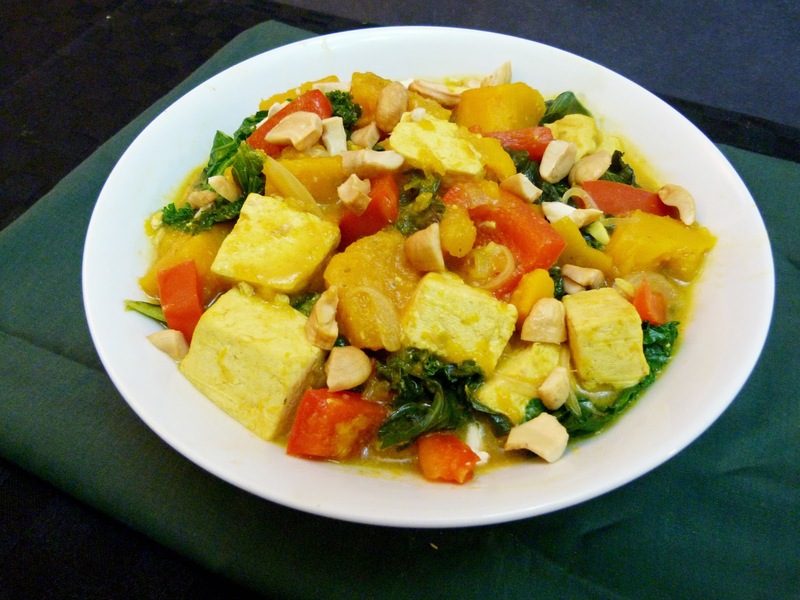 Transfer contents of the pan to a blender or food processor and blend, gradually adding ½ cup of vegetable stock. If you are making the sauce ahead of time, transfer it to a small saucepan and keep warm over low heat, stirring occasionally. Bring a large pot of water to a boil. Cook pasta according to package directions, until al dente. Drain and return pasta to the pot. Add the sauce and the cauliflower and stir until thoroughly mixed. If the sauce is too thick, add more of the remaining 1/4 cup vegetable stock. Transfer pasta to a serving dish. Serve warm, with additional ground pepper and fresh lemon wedges for squeezing over top.